I have gone on record that the most dangerous organization is the now French led IMF with Christine Lagarde at the helm, which has presented a concept report that debt cuts for over-indebted states are uncompromising and are to be performed more effectively in the future by defaulting on retirement accounts held in life insurance, mutual funds and other types of pension schemes, or arbitrarily extending debt perpetually so you cannot redeem. Yes you read correctly, The new IMF paper is described in great detail exactly how to now allow the private sector, which has invested in government bonds, to be expropriated to pay for the national debts of the socialist governments. Already in October 2013, the International Monetary Fund (IMF), suggested the Euro Crisis should be handled by raising taxes. The IMF lobbied for a property tax in Europe that should be imposed where there are no such taxes. The IMF has advocated for a general “debt tax” in the amount of 10 percent for each household in the Eurozone, which also has only modest savings. People are blind. They think this is authorization to go get the rich. They are going after everyone for the “rich” are tiny players in the game. People do not want to hear that. They want to think the rich can pay the bills for everyone else. That is not practical and even Julius Caesar recognized that they may be a small group, but they are the engine of the economy that creates jobs. It would have been popular for him to wipe out all the rich who he was against. But in the end, he had to solve the debt crisis by simply retroactively attribute all interest to capital in order to solve the debt crisis that led to the first civil war. There is no discussion whatsoever of reforming the system. They are merely planning to default on savers expropriating their savings, but continue to borrow forever. Nobody is even bothering to look at the structure that simply cannot work. The money people have saved the IMF maintains should be used for debt service by sheer force. To reduce the enormous national debt, they maintain that government has the right to directly usurp the savings of citizens. Whether saving money, securities or real estate, about ten percent could be expropriated. This is the IMF view. Because the government debt of the euro countries has increased a total of well over 90 percent of gross domestic product, they suggest that the people should sacrifice their savings for the benefit of the state. Socialism is no longer to help the poor against the rich, but to help the government against the people. The definition has changed. In January 2014, the Bundesbank joined the IMF project focusing on a “wealth tax”. In its monthly report they had announced: “In the exceptional situation of an imminent state bankruptcy a one-time capital levy could but cheaper cut than the then still relevant options” if higher taxes or drastic limitations of government spending did not meet or could not be implemented. 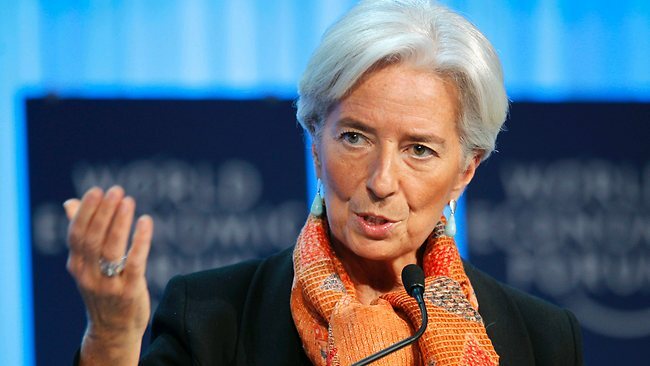 In the latest June 2014 working paper of the IMF, they have set forth yet another scheme – extending maturity. So you bought a 2 year note? Well, the IMF possible solution would be to simply extend the maturity. Your 2 year note now become 20 year bond. They do not default, you just can never redeem. involves an extension of maturities (normally without any reduction of principal or interest). Such a “reprofiling” operation, coupled with the implementation of a credible adjustment program, would be designed to improve the prospect of securing sustainability and regaining market access, without having to meet the criterion of restoring debt sustainability with high probability. Now the June 2014 report has a new, far-reaching proposal. This shows how lawyers think in technical definitions of words. There is no actual default if they extend the maturity. You could buy 30-day paper in the middle of a crisis and suddenly find under the IMF that 30 day note is converted to 30 year bond at the same rate. The huge national debts could be reduced also according to the IMF by just expropriating all private pension funds. The vast amount of people are watching TV shows, sports, or something other than government and they know that. The press will not report the real risk for that is boring news. Hence, where his occupational pensions exist, you can suddenly wake up and find your future is now applied as a contribution to government – thank you for your patriotism. They have successfully convinced the evil is the rich so pay attention to them and you will miss the political hand in your back pocket. What investor can really judge what is hidden in his fund when the government is denying democratic processes and control the press? One thing is certain: For years, all pension funds bought government bonds because they were “conservative” and “safe”. I have been warning that the threat would be the Sovereign Debt Crisis. The idea of a pension fund is really now seriously an outdated assumption that government bonds are extremely safe. And you want to even think that the stock markets are over priced and will crash? Where will money go? Government bonds again? The Eurozone is trying to federalize because they know what is coming. The IMF is telling them the path of options ahead but all are designed to sustain the power-base, not what is good for the people. The Euro-leaders have now given up and decided to make more debt while maintaining lip-service to savings. Thus, the Eurozone is likely to soon be directly affected by the IMF plans for when the market get wind of this on the horizon, it will be too late. For you see, pension funds do not THINK out of the box. Nobody will be the first to sell-out government bonds entirely. What if they are wrong and nothing happens? Then the manager loses their job. Even if they find themselves trapped by government either extending their maturities or expropriating all their assets, they will justify themselves as everybody else lost so they did nothing wrong. Obviously, these ideas from the IMF would mean that if the debt is no longer manageable, then the power of government entitles them to just usurp everything to maintain the power-base. The plan of the IMF I believe will result in widespread civil unrest AFTER the fact. The mere fact that these proposals target investors in government bonds who must adjust to debt forgiveness or negative interest rates shows this is all about sustaining government power. Recently, the IMF has argued the ECB must purchase government bonds in the euro countries to sustain the Eurozone. They are like the terrorist leaders who brainwash kids to blow themselves up for the good of the cause while they would never do the same thing themselves. It is noteworthy that the IMF imagines this haircut on private creditors as a kind of condition that bankrupt states must do to get any further loans from official creditors. Do as we direct of else. This is what the IMF is doing to Ukraine, no less what they did to Cyprus. However, unlike private corporate debt where there are the real balances and tangible assets secured by real products and business, the IMF proposal amounts to a global nationalization of public finances, which are unsecured debt. This distinction is important. You get nothing from defaults in government debt but a portion of what remains in private debt. Because the states with the this infinite loop of perpetual borrowing with no intent on paying anything back, we are captured in a world of financing that has become completely corrupted. The debt load of governments on a global basis is so oppressive, we are rapidly approaching not just the collapse in Democracy, but the collapse or the elimination of all market mechanisms in the public finance. If they cannot sustain the debt, default and FORCE the so many unsuspecting pensioners to surrender their future to allow politicians to live comfortably. They see no problem with people holding government debt should be punishable with massive losses, and are blame for extorting government even demanding interest. The IMF proposal comes during the World Cup knowing that the press will not cover it much and the average person cares more about who wins what than the sneak attack upon their own lives. This far-reaching plan for the expropriation of savers, investors and retirees clearly shows the reality of socialism.